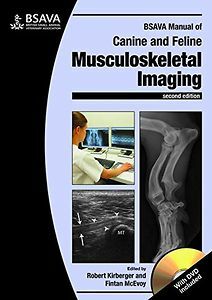 This new edition of BSAVA Manual of Canine and Feline Musculoskeletal Imaging builds on the practical structure of its predecessor, with chapters arranged anatomically. Individual joints, the long bones, the skull and the spine are dealt with in discrete sections while soft tissues, bones and joints are considered more generally. Chapters from the previous edition have been thoroughly revised and updated, while new chapters dedicated to imaging modalities such as CT, MRI and ultrasonography broaden the scope of the manual. Indications for use and illustrations add depth to this relatively new area of musculoskeletal imaging. As with the 1st edition, this manual has been written and reviewed by practitioners of international renown. Techniques and findings are explained clearly, ensuring that the content is accessible to veterinarians of all levels.